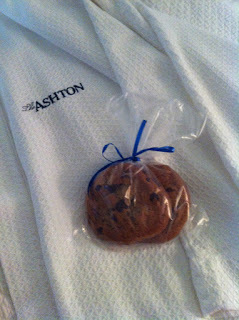 I had the pleasure of staying at The Ashton Hotel recently for business. 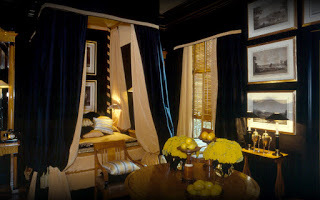 Considered a “boutique” hotel, I had never stayed in this style of hotel. 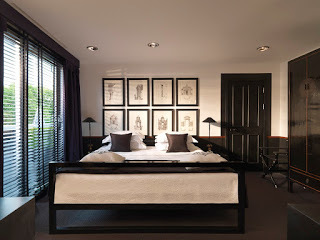 Boutique Hotel is a term popularized in the US and United Kingdom to describe hotels which often feature luxury facilities in a unique, smaller setting. 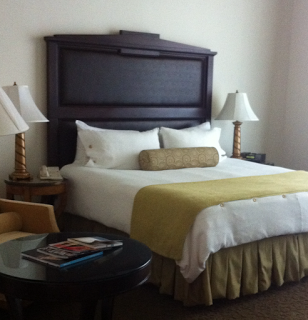 The Ashton Hotel, where I stayed, is located in downtown Fort Worth and convenient to tons of restaurants and shopping. 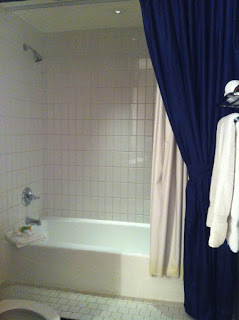 However, when I get the chance to stay in a hotel ALL BY MYSELF I don’t care about what’s outside the room. 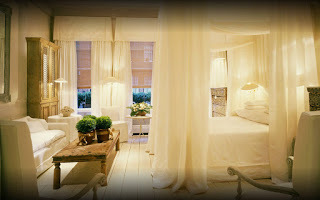 Give me a big, comfy bed, a TV and a mini bar and I’m good. Ginormous bed with soft down comforter and freshly laundered sheets. Check. 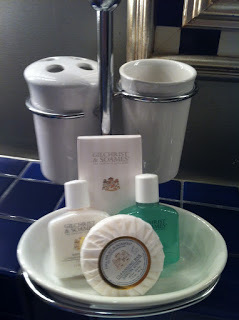 Toiletries in the bath and my own toothbrush holder. Check. 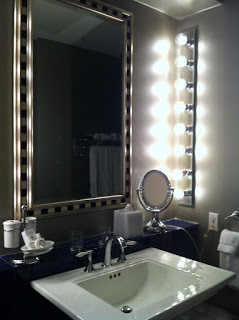 Vanity surrounded by navy blue tile and a gorgeous gold mirror with gentle lighting. Check. Nice big tub with subway tile decking. Check. 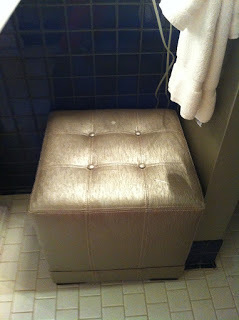 Golden ottoman to sit on while I drink my coffee and stare at myself in the mirror. Check. At one point during my stay, I couldn’t get my key to work in my door. So, Brandon, the ever-helpful front desk man came to my rescue. They still use regular door keys, you see, and while he was dismantling my door, we chatted about the hotel’s history. 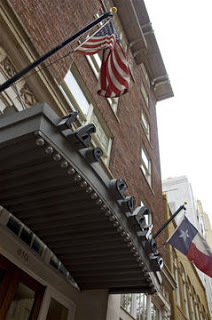 Built in 1915, the building was the first home of the Fort Worth Club which still exists in another location downtown. Next door to the club was the original site of the White Elephant Saloon and brothel. I guess you could have dinner with your wife, then after she got home safely stay for a drink and other activities next door. When the Fort Worth Club moved it became Haltom Jewelers. Then in the 60s, none other than Cullen Davis bought the building and it was the home for his oil dynasty until he put on a wig one night and shot his ex-wife, her basketball boyfriend and step-daughter in the 70s (actually, he was aquitted, but seriously). 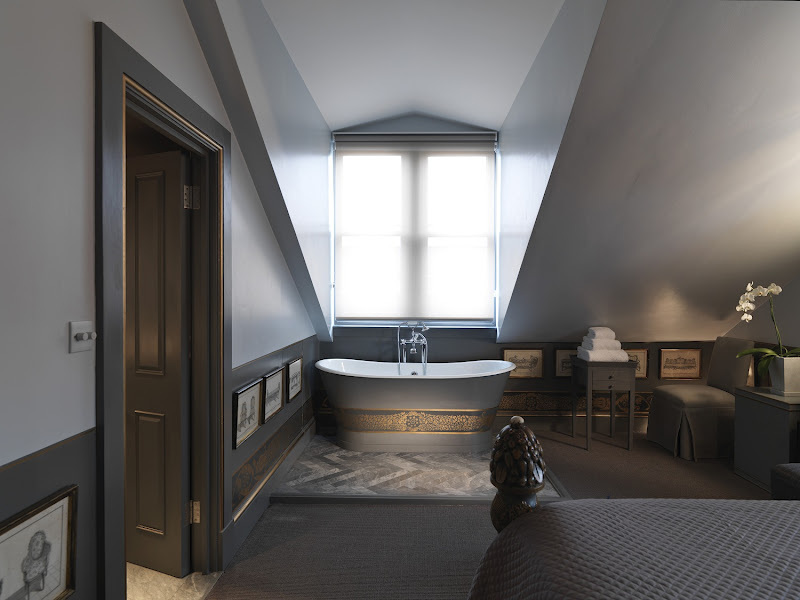 The building stayed vacant for years until it was bought and revived as The Ashton Hotel. Okay, Brandon got my door fixed. I walked in and found this on my bed. Ingrid had turned down my bed in the evening and treated me with two, warm chocolate chip cookies. Awesome.